After September 11, Americans agonized over why nineteen men hated the United States enough to kill three thousand civilians in an unprovoked assault. Analysts have offered a wide variety of explanations for the attack, but the one voice missing is that of the terrorists themselves. This penetrating book is the first to present the inner logic of al-Qaeda and like-minded extremist groups by which they justify September 11 and other terrorist attacks. 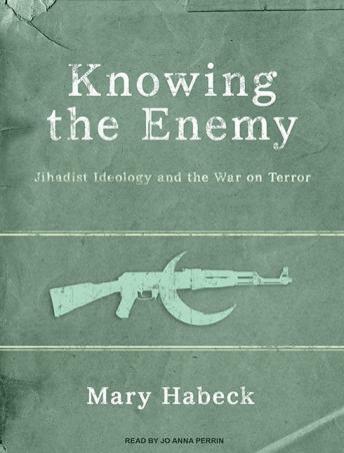 Mary Habeck explains that these extremist groups belong to a new movement-known as jihadism-with a specific ideology based on the thought of Muhammad ibn Abd al-Wahhab, Hasan al-Banna, and Sayyid Qutb. Jihadist ideology contains new definitions of the unity of God and of jihad, which allow members to call for the destruction of democracy and the United States and to murder innocent men, women, and children. Habeck also suggests how the United States might defeat the jihadis, using their own ideology against them.